Charities Take Digital Money Now - And The Risks That Go With It. 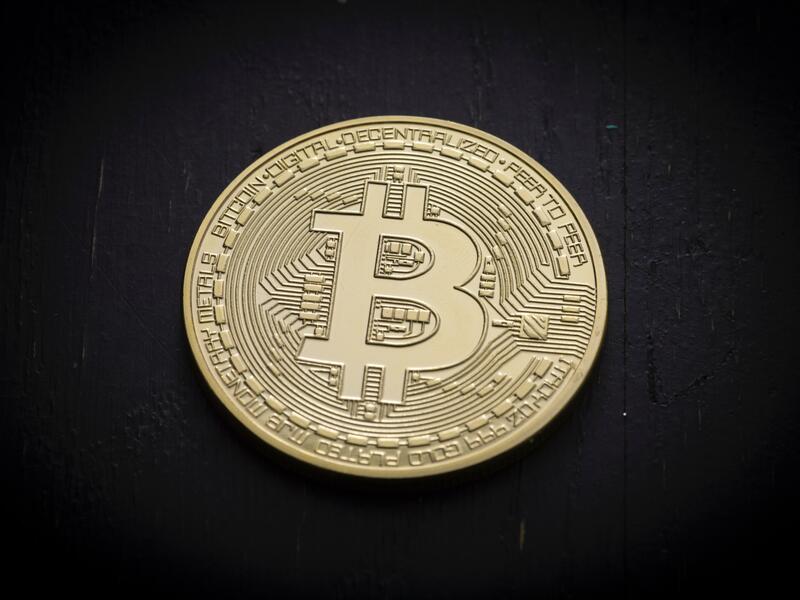 Many large charities, despite being entrusted with accepting and managing funds that benefit the public, are accepting bitcoin and other cryptocurrencies –volatile forms of digital money –as donations. Take, for example, the Silicon Valley Community Foundation, one of the country’s largest charities. It held a third of its US$13.5 billion investments –nearly $4.5 billion – in digital assets according to its annual financial statement. While the Silicon Valley Community Foundation probably holds more cryptocurrency than any other charity, it is not unique. Fidelity Charitable, the top U.S. charity in terms of the donations it amasses annually, said digital money was its fastest - growing category in 2017. 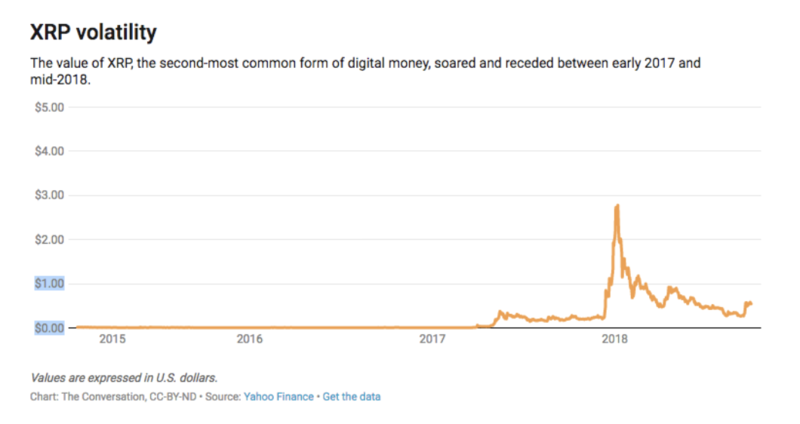 XRP, the second -most popular kind of digital money, gained 36,018 percent over the course of the year. 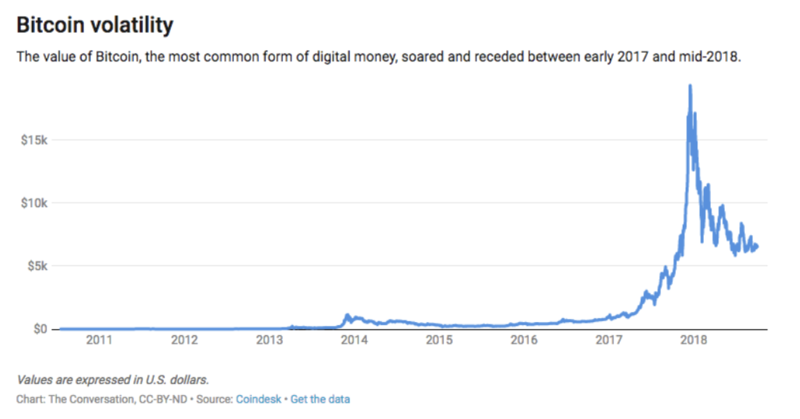 These gains gave way to massive losses in the first eight months of 2018, when digital currencies plunged more sharply than the dot -coms crashed in the early 2000s. The fact that charities only disclose their financial data once a year means that the scale of their at -risk wealth, as of now, is unknown.